Once, an attractive and engaging content-wise website was considered to be a success. A website that could draw plenty of traffic and maintain its visitors’ interest was in demand. Nowadays, attractive and engaging content is not enough. Over half of today’s online shoppers use mobile devices. In case a website is not responsive, these shoppers are quite likely to go elsewhere. If website’s content does not display correctly, users will not get engaged. The same goes for the cases where navigation is difficult due to the improper menu display. Responsiveness is all important. Fortunately, creating a responsive site is never a problem these days. A great option is to use one of these responsive WordPress themes. You really can’t go wrong by selecting this top-of-the-line ThemeForest best seller to work with. Be Theme has a lot going for it. It has a huge assortment (300+) of pre-built websites, a host of powerful website-building core features, and it is of course, responsive. With Be Theme, you can build virtually any type of website for any business niche, and if you have the content you need close at hand, you can often do so in as little as four hours. It generally takes a few minutes, rather than several hours or longer, to find a website theme that will work best for you, and Be Theme’s one-click pre-built website installation feature saves you even more time. Every pre-built website is customizable, so it’s easy to achieve a perfect fit for any business or client, and the basic UX functionality you’d want is already embedded. Thanks to its host of design elements and options, working with Be Theme does not involve any coding on your part. Kalium, the creative theme for professionals, is another multipurpose theme that will enable you to build a responsive website, whether it’s for an online shop, a creative agency, a blog, or a portfolio, and do so in record time. Kalium is chock-full of demo sites and layouts, web-building features like Visual Composer, Revolution Slider, and Layer Slider, and a host of short codes, premium fonts, and design elements. Kalium enjoys the highest rating among the top ThemeForest themes, and has received numerous best-in-industry awards. This highly recommended theme requires no coding on your part, and it is fully responsive, RTL-ready, multilingual, and WPML compatible. All the premium plugins you’re ever likely to need come with the package. Its collection of multiple shop layouts makes Kalium an especially attractive and useful choice for small business owners. If you prefer a modular or building-block approach to website design, Pro is worth a closer look. 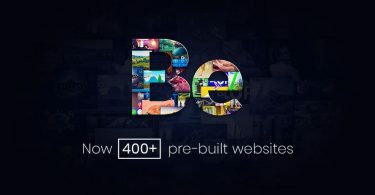 This modern, highly-advanced website-creating tool is built around three interconnected building blocks: a Header Builder, a Footer Builder, and a Content Builder. These three design elements are supported by a host of free extensions and presets. With this responsive, and game-changing website creator, you can easily build any kind of header from the most basic to one that is so complex as to be mind-bending. The Content Builder’s optimized workflow features and drag and drop interface, make it a genuine productivity booster, and with the Footer Builder, you can create a beautiful, engaging footer, instead of one that may be little more than an afterthought. If you prefer building websites from your browser, Pro is the WordPress solution for you; and it doesn’t require installing a special app. Since Uncode has everything you need, there’s no need for coding, whether you choose one of its many templates, or start from scratch. This pixel-perfect WordPress theme is an ideal solution for web designers, bloggers, marketers, or creatives, who want to build eye-catching, responsive portfolios. Uncode has always been user friendly, and with its recent Version 1.6 release, is even more so. Corporate or creative, one page or multipage; TheGem can do it all, with its huge selection of smart tools, creative concepts and templates, blog layouts, portfolio layouts, and hundreds upon hundreds of design elements, shortcodes, and widgets. With over 70 unique multi-purpose design concepts, 200 stunning demo pages, eight navigation settings in over 20 styles, plus flexible page layouts, the possibilities are unlimited. Perfect for corporate businesses of any size and purpose, or creative agencies with fancy ideas. The Gem includes a fully-featured WooCommerce fashion store that’s ready to go, so your website will spring to life within minutes. Newspaper, created by tagDiv, an Envato Power Elite Author, is a great solution for anyone in need of a responsive news, blog, review or magazine website. The theme comes with more than 48 demos addressing a variety of popular topics, including healthcare, lifestyle, food, fitness, art, and much more. Newspaper’s features include a live editing tool, with row and column page-building capability, supplemented by an excellent selection of design elements, shortcodes, and pre-defined building blocks. The Core gives you everything you want in a WordPress theme. Its demo selection, and all-encompassing assortment of design elements and options, gives you a perfect alternative to having to invest in a multitude of themes to create websites for a variety of different types of businesses. If you can think of it, you can build it; without needing a single line of code. Visit the website for a free trial spin! Houzez offers an easy to get started approach to building a fully responsive real estate oriented website that includes every feature a real estate agency or individual realtor would want or expect. Customizable templates, a feature-rich admin panel, advanced search capabilities including radius search and geolocation, and property-type search, make it possible to provide a complete website to work with; one that even features membership and payment options. Houzez is a gem! XStore is living proof that building an eCommerce site does not have to be challenging. This responsive WordPress theme could easily be described as both intuitive and elegant. All the pages, tools, and settings you’re apt to need are provided in this minimalist theme, including an excellent selection of page layouts, all the necessary eCommerce-oriented plugins, and more than 70 good-to-go shops. ListingPro just happens to be the only all-in-one, end-to-end WordPress directory solution on the market todayÃÂ to build a stable and scalable directory. This best-selling WordPress solution does not require any additional paid plugins unlike most of the directory themes. Everything needed will be found in the package, making it the best product of its kind you’ll find anywhere. ListingPro has not become a best-seller simply because of the pain-killer features it provides. It’s also the winner because of its outstanding level of support its users can expect. Select any one of these premium, best-selling WordPress themes! By doing so, you can get one sure way to get your 2018 website creating adventures off to a rousing start. The best responsive themes will make you feel every bit like the proverbial kid in the candy store. Responsiveness, intuitiveness, and versatility are common denominators of these 10 best-in-their class themes.